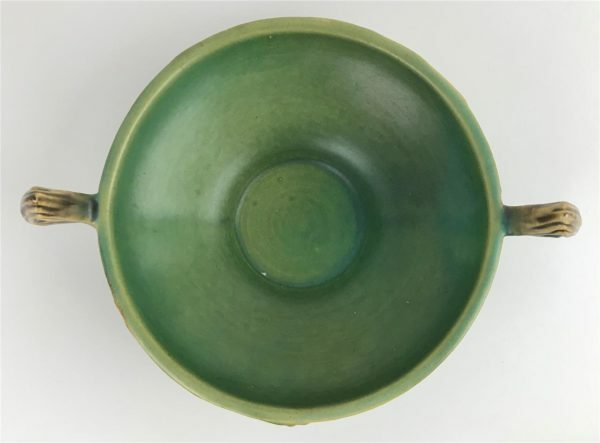 Today we are thrilled to be offering for sale a truly beautiful 1940’s Roseville Pottery Bushberry Green #412-6″ console bowl! 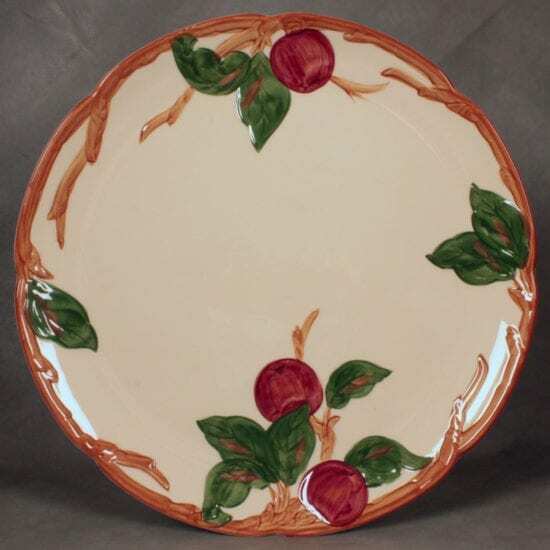 The Roseville Pottery Company was an American art pottery manufacturer in the 19th and 20th centuries. 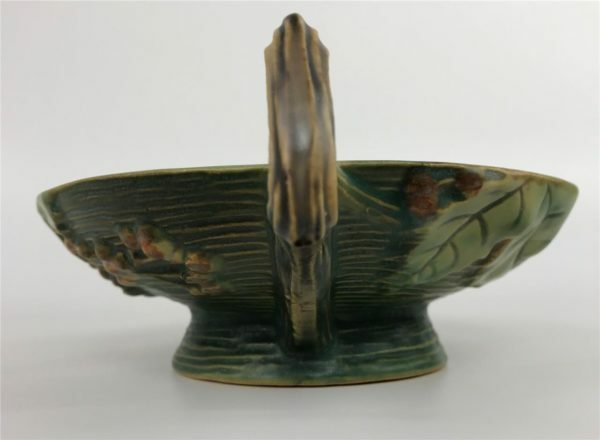 Along with Rookwood Pottery and Weller Pottery, it was one of the three major art potteries located in Ohio around the turn of the 20th century. 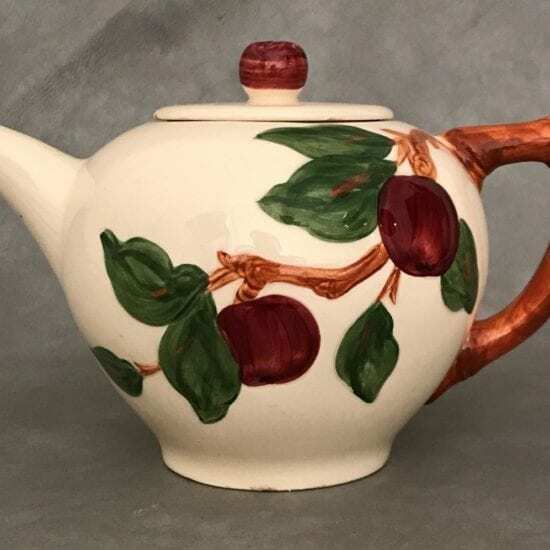 Though the company originally made simple household pieces, the Arts and Crafts–inspired designs proved popular, and Roseville pieces are now highly sought after by collectors. The company operated from 1890 until 1953. 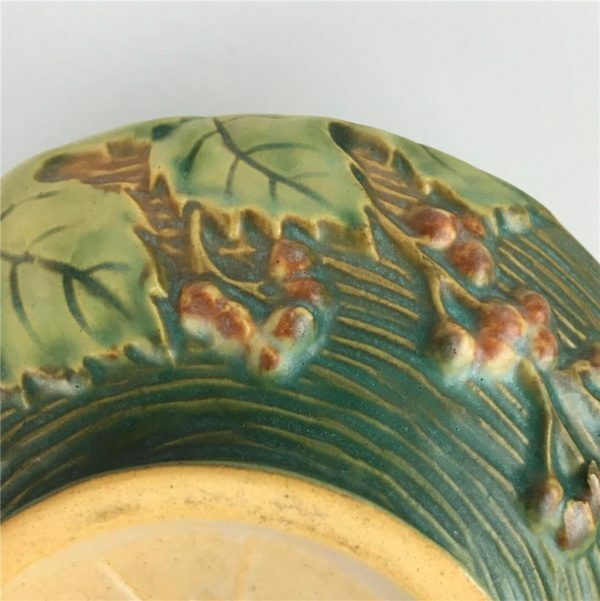 This gorgeous Bushberry Green console bowl/vase was introduced in the early 1940’s and features a raised berries and leafed design on a matte green glazed background. The vase is marked “Roseville USA 412-6”. The vase presents beautifully and is in very good vintage condition, with very minimal display wear and very light scuffing. 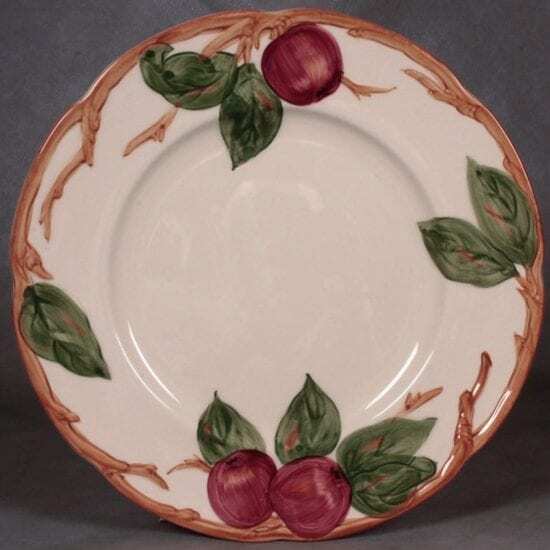 Very crisp molding and excellent richly clored glaze. 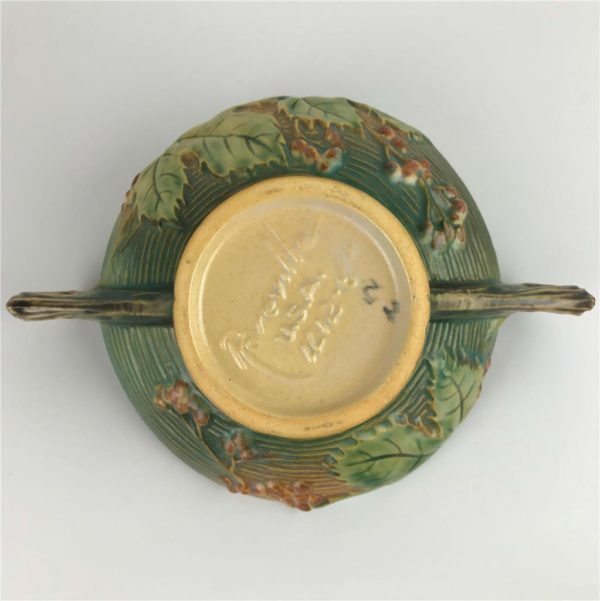 There is normal very light surface crazing to glaze. No chips, cracks or restorations. 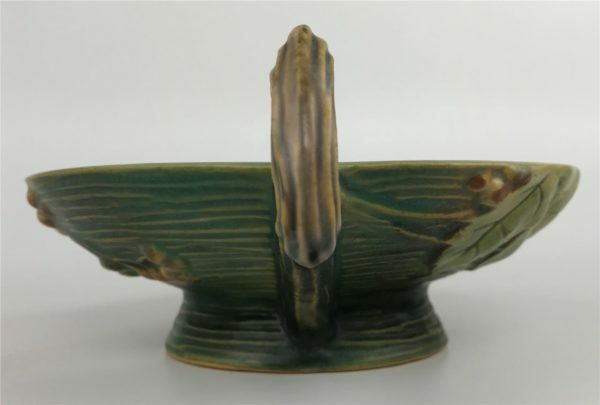 Add fabulous art deco style and elegance to your home with an iconic ceramic art piece from an iconic American company! Fresh to the market! 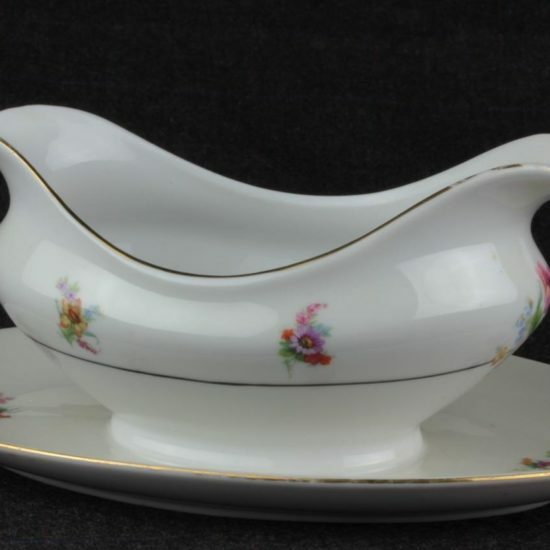 We currently have several pieces of Roseville listed on eBay. Check our eBay store to see them all! We’ll combine shipping whenever practical.